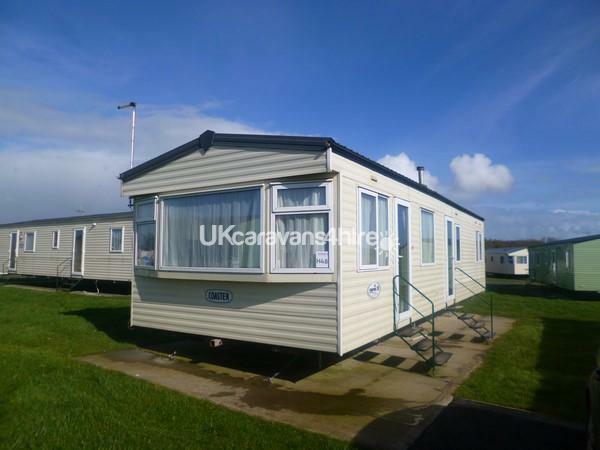 “The Heathers” at Parkdeans Mullion holiday park in Cornwall. 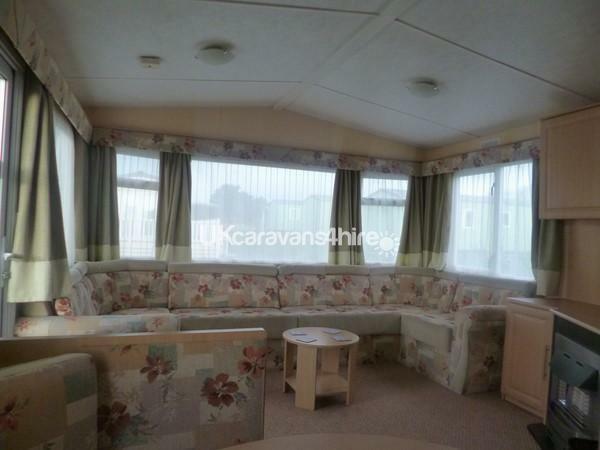 The caravan is double glazed and heated throughout. 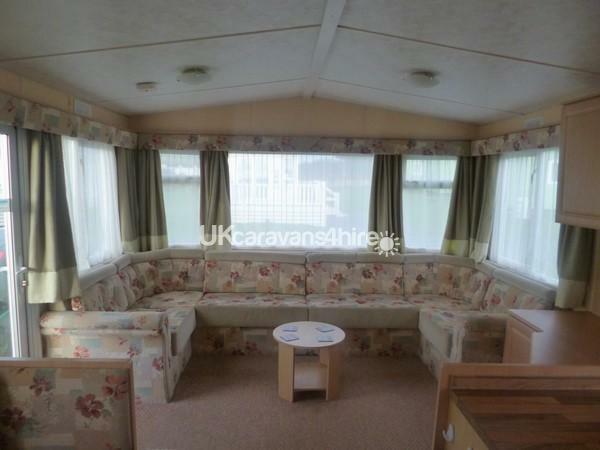 The living area is open plan which is cosy yet spacious. The lounge benefits from a built-in gas fire, 24” LCD flat screen TV with integrated DVD player and remote control, if required there is a double pull out sofa bed. The kitchen is well equipped with modern appliances including a side by side fridge & freezer, gas cooker, microwave, kettle and toaster, ample storage cupboards and all utensils. Bedroom 1. 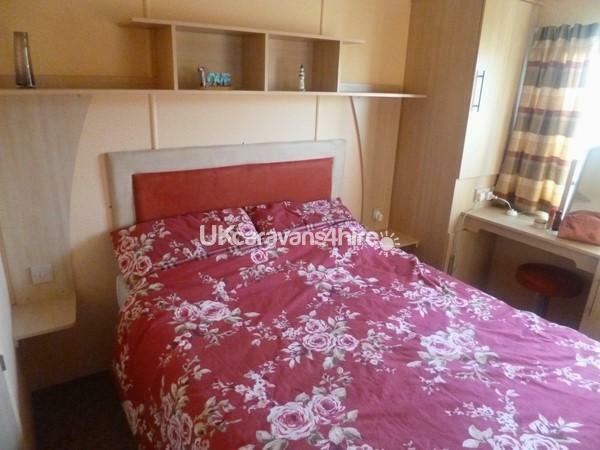 Master bedroom with en-suite toilet with hand basin fully fitted wardrobes with ample storage space dressing table, shaving socket and hair dryer. Bedroom 2. 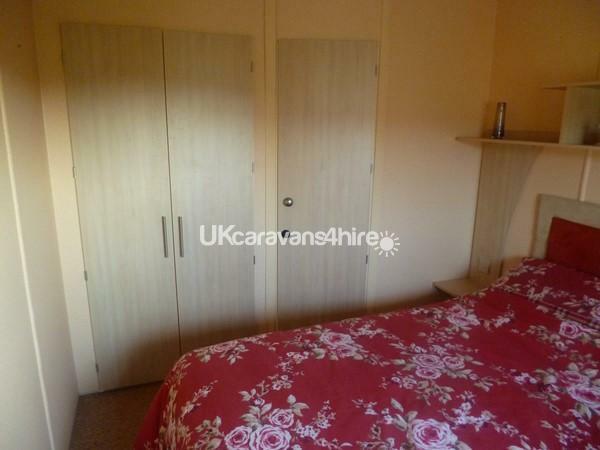 Twin room with 2 single beds wardrobe and draws making this a more than adequate room for 2 children or 2 adults, all bedrooms come with duvets and pillows provided. Family bathroom fitted shower wash basin WC and heated towel rail. 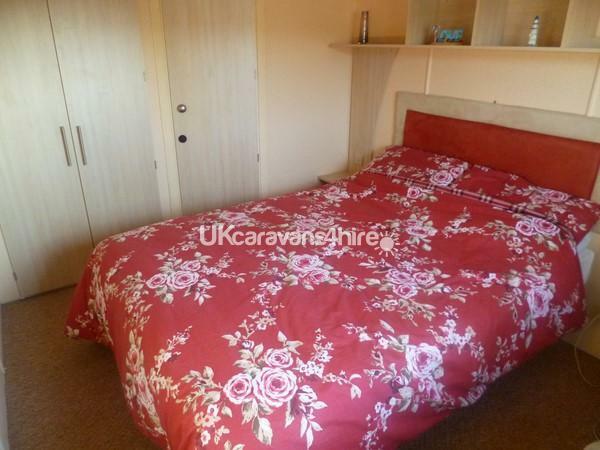 The caravan can be occupied no earlier than 4pm on day of arrival and must be vacated by 10 am on day of departure. Bookings are subject to a £100 non-refundable deposit at time of booking and full payment due 6 weeks prior to holiday. 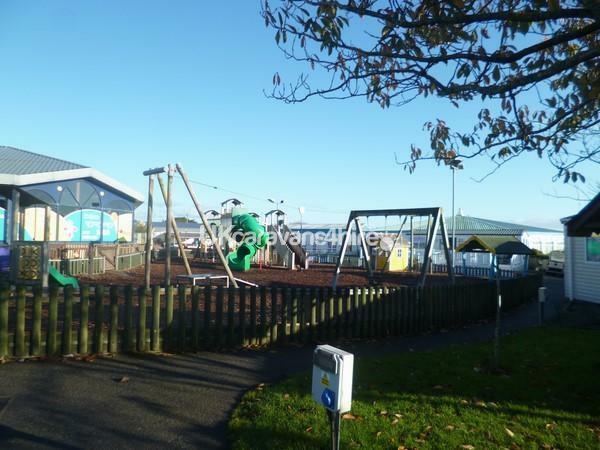 Great holiday park in a beautiful location, plenty to do with the children on the park as well as close by for days out. Really happy with accommodation, everything you need, nice and clean. Would happily go back. Thankyou hope to see you back in the new season. 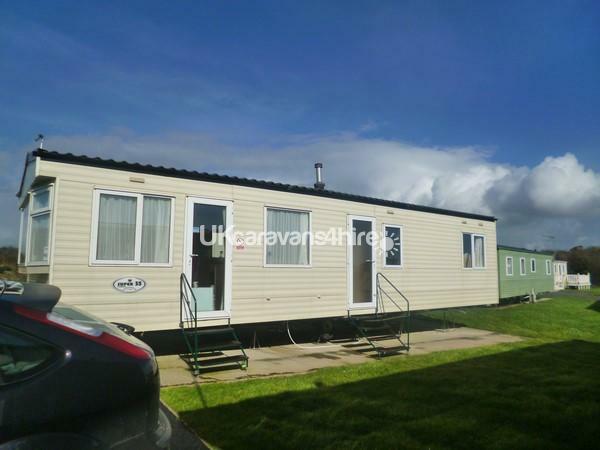 I stayed at this caravan with my two children aged 8 and 10, the caravan was fresh, clean and surprisingly spacious, in a good quiet location. 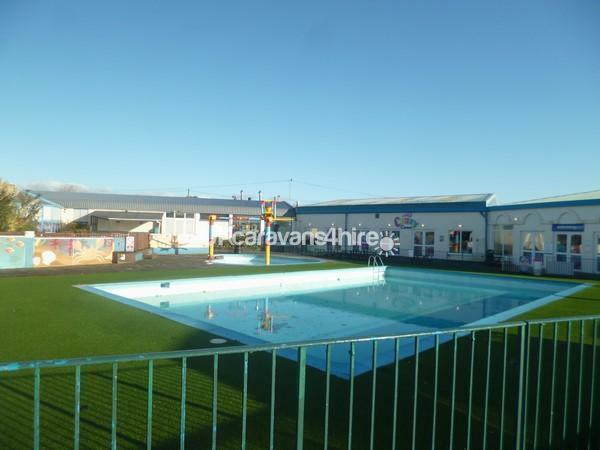 The caravan park had loads to keep the kids entertained including kayaking and zorbing sessions in the pool which the kids loved. 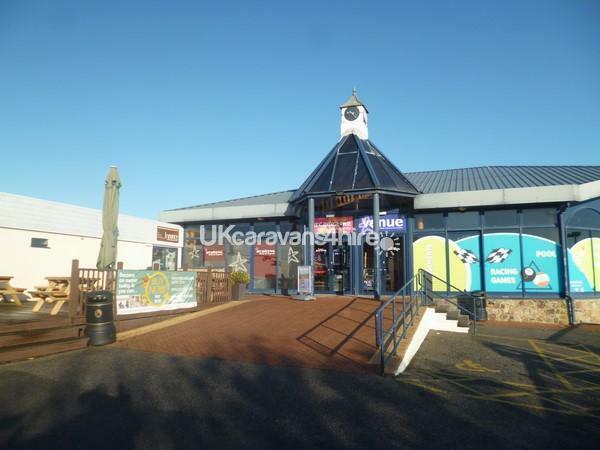 The caravan is a couple of minutes drive to the beautiful beaches, where we spent a couple of blustery autumn days flying kites, before retiring to the onsite restaurant and bar. I found the food at the restaurant good value for money, with different deals everyday and good size portions. 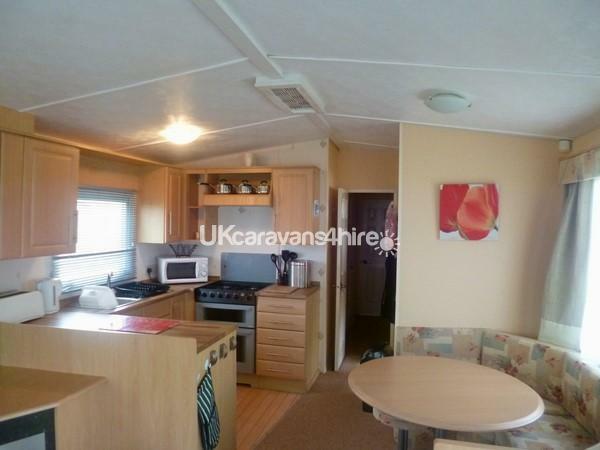 10/10 for this caravan and location, a fab holiday had by all, hoping to return for the summer. 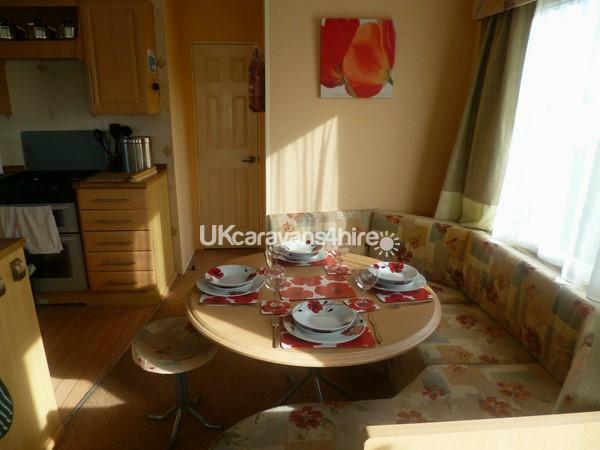 Have stayed in this particular Holiday Home on numerous occasions with my partner and two kids. Most recently was just my kids with the grandparents. Always clean and well presented and in a perfect location. Close enough to all the onsite entertainments that the kids love and many fantastic beaches within a short walk or drive. Will definitely be staying here again next year. Thankyou we are both very glad you enjoyed your stays, looking forward to here from you next season.